What does salicylic acid do for acne? 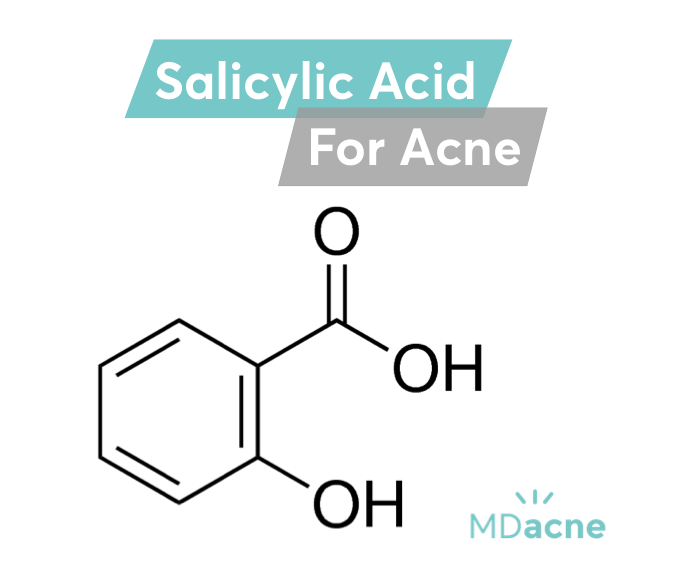 Salicylic acid is the second of the most valuable medical ingredient for the treatment of acne—second-only to the gold-standard, benzoyl peroxide. When formulated in the right concentration and with the right PH, salicylic acid is an extremely potent and effective acne-fighting ingredient, which is why it is often found in medicated acne cleansers, treatment creams, and spot treatments. Salicylic acid is a natural compound originally derived from the bark and leaves of the willow tree. Its name originates from the word, Salix, the Latin name for willow trees. Its close relative, Acetylsalicylic acid (commonly known as Aspirin) is one of the most popular pain-relieving and anti-inflammatory drugs on the market. Topical salicylic acid is anti-inflammatory, keratolytic (helps exfoliate dead skin cells), anti-fungal and, anti-bacterial. As it is lipophilic (i.e. loves fat) it easily penetrates into the skin's pores to soften and loosen comedones (blackheads and whiteheads) to treat and prevent acne breakouts. How does salicylic acid work on acne? Salicylic acid dissolves in fat. When applied to the skin, it penetrates deep into openings of the oil glands, breaks down fatty compounds—such as the oily sebum —and unclogs pores, resulting in deep cleaning of the skin. Salicylic acid also has a mild exfoliating effect, increasing cell turnover and enhancing collagen production, ultimately providing a healthier glow to the skin. This exfoliation is achieved gently without damaging the protective layers of the skin or the risk of rupturing pores or breaking tiny blood vessels, which frequently occurs with physical exfoliating from scrubs of electric cleansing brushes. By removing melanin-containing dead skin cells from the upper surface of the skin, salicylic acid also helps fade post-acne dark spots (i.e. hyperpigmentation) gently over time. Its ability to gently exfoliate the skin and clean the pores make salicylic acid a perfect treatment for comedones (blackheads and whiteheads) and mild to moderate acne. It's also an anti-inflammatory, which can help calm inflamed acne. How does salicylic acid (BHA) compare to glycolic acid (AHA)? Salicylic acid is the only beta-hydroxy acid used in skin care. As salicylic acid is more potent than glycolic acid (an alpha-hydroxy acid), it provides the same level of exfoliation in a much lower concentration. For example, salicylic acid concentrations of 0.5% to 2% have similar efficacy, with considerably less irritation than glycolic acid 30%. This difference is due to the different chemical structures of the types of compounds. Salicylic acid is a beta hydroxy acid, which means the hydroxy part of the molecule is separated from the acid part by two carbon atoms, as opposed to an alpha hydroxy acid where they're separated by one carbon atom. That's probably more chemistry than you wanted to know but the important thing to understand is that this chemical difference makes salicylic acid more oil soluble so it can penetrate the pores of the skin much better than glycolic acid. How do salicylic acid cleansers work? Cleansers containing salicylic acid are the best option for people who have acne. The salicylic acid will get to work unclogging the pores and preparing the skin for acne treatment cream to better penetrate the skin. In contrast to harsher acne cleansers, a salicylic acid cleanser is mild, non-irritating and can suitale for even the most sensitive skin when used in the right concentration. For the best results, cleansers with salicylic acid should be massaged gently into the entire face (avoiding the eyes) creating a nice lather for around 20-seconds then rinsed off with tepid water. What are the best products with salicylic acid for acne? The best way to effectively treat acne is to use the right ingredients in the right concentrations for your unique skin. With salicylic acid, the percentage of the ingredients should be customized to the skin and acne severity. For people with sensitive and normal skin types, the best option is typically a concentration of salicylic acid between 0.5%—gentle enough to reduce irritation but still potent enough to tackle and prevent breakouts. For people with more oily skin, a concentration of 2% salicylic acid is typically preferred. Salicylic acid can be made even more effective and less irritating when combined with certain plant-based botanicals, which have a synergistic effect and add additional anti-inflammatory and anti-oxidative effects. The MDacne cleansers and treatment creams with salicylic acid also contain plant-based compounds such as vitamin C, aloe, witch hazel, and others for even better results. 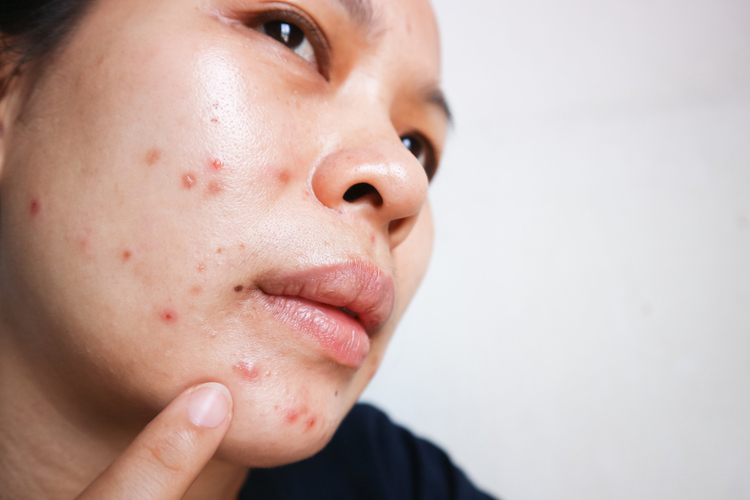 Is salicylic acid safe to use for acne treatment? Salicylic acid is extremely safe to use for acne treatment when used in the right concentrations and combined with the right ingredients. Some dryness and mild peeling is possible—and totally normal—when starting an acne treatment with salicylic acid. This effect is temporary and the skin will usually get adjust to the treatment within a couple of weeks. To prevent over-drying of the skin it best to avoid using additional toner and other astringents (alcohol-based) products while using salicylic acid. Is salicylic acid safe to use during pregnancy? A large number of studies have been published in which researchers have examined the outcomes of women who had taken low-dose oral acetylsalicylic acid during pregnancy. The results? there was no increase in the baseline risk of adverse events (ex. major malformations, preterm birth, or low birth weight). That being said, no major studies have been conducted examining the topical use of salicylic acid in pregnant women. However, as such a small proportion of salicylic acid is absorbed through the skin, it is unlikely to pose any risk to a developing baby. Read more about from a study on the safety of skin care products during pregnancy here.